Dozens of ancient ships, many of them dating back two millennia, are lying on the sea bottom 450 km off the coast of Albania, most of them originally laden with priceless antiquities that have recently been looted, according to an Athens-Macedonian News Agency report. 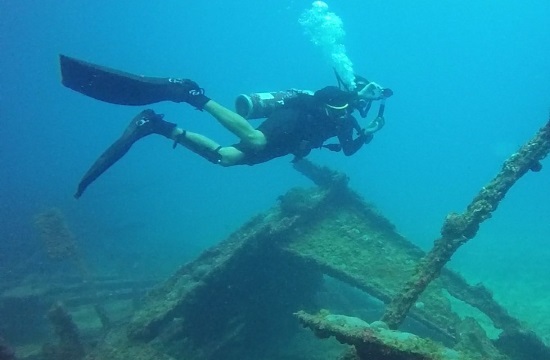 Most of the wrecks are Ancient Greek, Roman and Illyric ships, often loaded with treasures. After the collapse of the Albanian Communist regime of Enver Hoxha, many of the precious shipwreck sites, with vessels carrying gold coins and priceless artifacts, have totally disappeared or been looted. Illegal antiquities traffickers can make a fortune on the global market for ancient art and artifacts. Inside Albania an ancient amphora found in the sea can fetch 100 euros, but on the worldwide art and antiquities markets its price can skyrocket, reaching hundreds of thousands of euros. Nevetheless, in June 2018, ancient shipwrecks in the Ionian and Aegean Seas received the designation of “National Cultural Heritage Treasures”, and according to new international regulations, researchers and divers must obtain a special permit to approach old shipwreck sites. Authorities, archaeologists and historians in Albania have done their part to sound the alarm on the issue of the looting of underwater cultural artifacts. But tragically, despite the country’s economic growth and its good prospects for EU membership, Albania still lacks the funds needed to enforce the protection of the priceless archaeological treasures which still rest on the sea bottom off its coast. Along with the ancient shipwrecks, modern ships that have sunk recently are salvaged from the bottom and sold on the black market for their rare metals while even newer vessels are sold for scrap metal.